Many parents hope their children will embrace a love of learning, and especially science and math. However, they may be at a loss as to how to make that happen. Even if the parent is comfortable with the subjects, it can be difficult to know how to translate your own knowledge to a child's level. 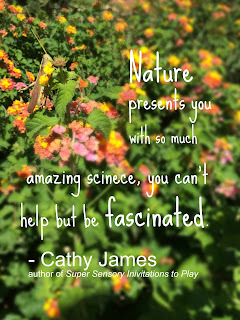 That's why I am so excited to be participating in the book tour for Cathy James's new book Super Sensory Invitations to Play. I have admired Cathy's work at Nurture Store for some time, so I jumped at the chance to help promote her latest book. As part of the affiliate and promotion team , I was given a free advance preview of the book. 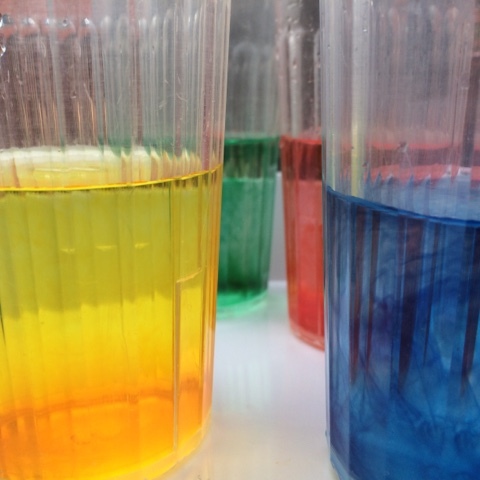 (Affliate links have been removed from this post) Super Sensory Invitations to Play is beautiful, practical, and filled with exactly the type of activities that will give children a solid foundation in STEM learning. If you follow my Instagram account, you've seen at least one of these activities in action already. Cathy was kind enough to answer a few questions about herself and Super Sensory Invitations to Play. I think you'll find her answers helpful, even if you aren't planning to buy the book itself. Me: How did you get started writing activities for children? Cathy: When my children were younger I decided to stay home with them, and I started a preschool daycare from my home. So, we were spending our days doing lots of lovely activities and sharing them with the parents and other local early years educators. 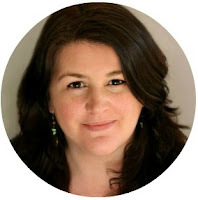 It was actually my husband's idea to start blogging them, to share them with a wider audience. I didn't know anything about blogs or working online back then, and it was so wonderful to discover there was this international online community who all loved creative, hands-on play as much as we did. Cathy: Everything starts with getting to know the children. Sitting nearby as they play freely gives you such an insight into what they're interested in, what they are thinking about, and what questions they have. From there, you can start to think about extra resources, materials and 'invitations to play' that you can provide, or help them to put together, to allow them to explore these interests further. They might not love everything you offer, but the process of helping them follow what they are interested in, and being the mentor who helps them explore wider, deeper and in different ways, is such a happy and successful way to encourage children to develop their knowledge and skills. 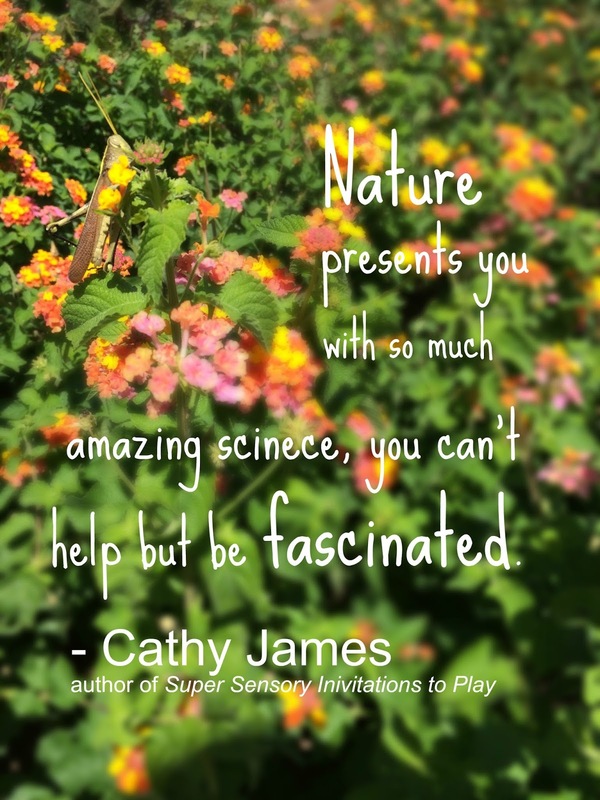 Cathy: I think my personal love of science comes from being a keen gardener and also from my love of being outdoors, whether that's at the beach or in the woods. Nature presents you with so much amazing science you can't help but be fascinated. And I think young children are natural scientists too. The way they want to explore, try things out and see how they work, and how they stop to notice tiny details, like how the light switch works or how a ladybug crawls along a flower stem, shows how they are thinking like scientists. Me: What was your inspiration for this book? Cathy: I've seen how much my girls, and the children I've worked with, have enjoyed sensory play. I've also seen how much this kind of play benefits them educationally. 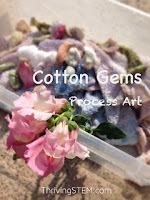 Sensory play lets them explore ideas that they've encountered elsewhere in a free, hands-on way. If you observe them as they're trying out some sensory play you'll often notice math, science and language skills being used. I think we all learn best when we're having fun, and when we're using a whole-brain approach, so I wanted to make a resource that would be useful to parents and teachers who also wanted to add more of this into their children's routines. Me: How did you decide what activities to include? Cathy: I started with what my girls love best. My daughters are quite different. One of them adores play dough and has spent years developing how she plays with models and imaginary play lands. My other daughter loves hands-in, up-to-the-elbows, play with paint and shaving foam. I also wanted to make sure the book was as useful as possible to parents and teachers, so I've made sure to include ideas for a wide range of materials, and set the book out so you can follow it through all the seasons and major festivals of the year. It gives a full fifty-two weeks of ideas, and they're linked to the main areas of the curriculum, and to the seasons and main festivals of the year. Me: How do you hope parents and teachers will use this book? Cathy: I would encourage them to dive in and give some of the ideas a try! The book is full of gorgeous photos, so you can browse through it with your children and let them use the images to pick the activities that especially appeal to them. Also, because the book has a whole year's sequence of invitations to play, parents and teachers can follow along and always have some sensory activity available for their children to match the learning topics they are using, or the seasons and celebrations they are enjoying. but don't want our children to miss out? Cathy: Relax! Not all sensory play is messy. The book has totally mess-free ideas, and ideas that can be done outdoors or in the bathtub, so ones that are really easy clean up. 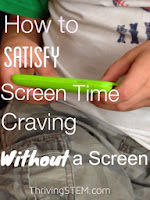 There are tips in the book on how to limit the mess and how to set-up the activities so that you can enjoy them, without getting stressed about the clean-up. The main thing is to pick a few that do appeal to you and give them a try. Once you start to see just how much your children love them, and how much they are developing and deepening their skills by doing them, that is such a great encouragement to keep trying new things and giving them this wonderful opportunity to learn through play. Through the book, I'll hold your hand and ease you in gently with some mess-free discovery bottles, or some bathtime bubbles ideas, and we can work up to the super messy cloud dough or shaving foam when you're ready! Doesn't that all sound lovely and doable? It is! 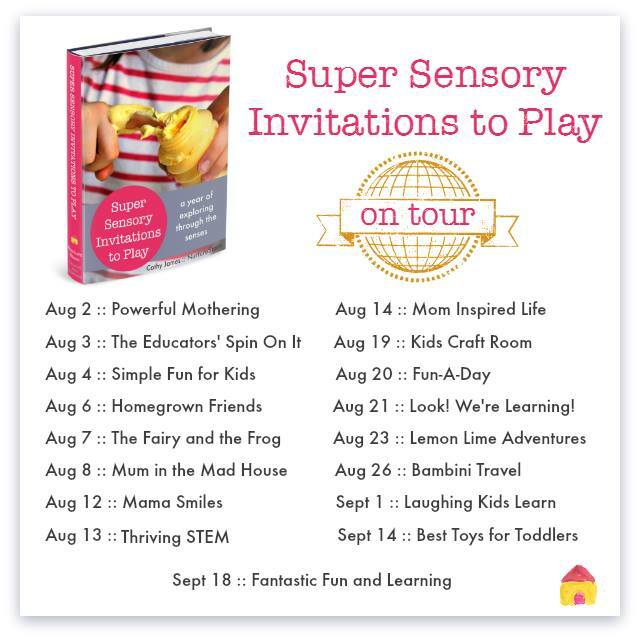 If you'd like to get an electronic copy of Super Sensory Invitations to Play, it costs $15. You'll get a year's worth of seasonal learning activities (52 in all) that are appropriate for toddlers through early elementary school. In addition to detailed descriptions and photographs, there is a chart that shows you what skills are addressed in each activity and what supplies are needed. 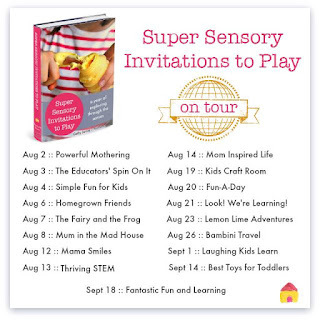 As I mentioned, this post is part of the Super Sensory Invitations to Play Book Tour. Catch up on what everyone is saying!